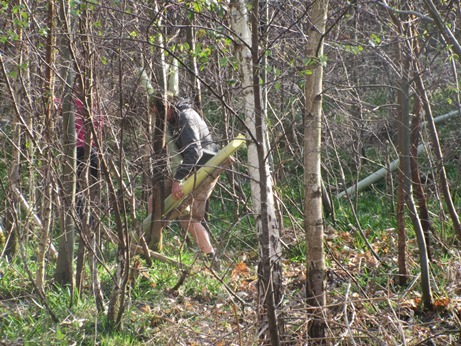 A very warm spring day to remove tree guards from two areas in the forest. At first, we were at Speculation where the tree guards were scattered up the hill. We saw a boar sounder in the distance. We then went over to Speech House lake and collected many more of the old tree guards and piled them up beside the track. 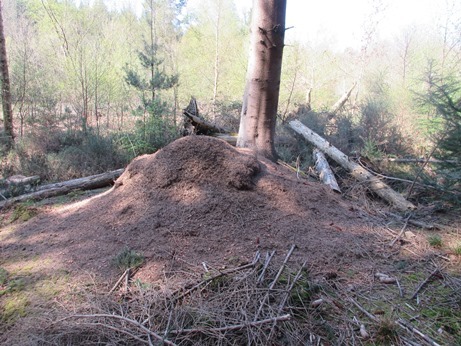 The sight of a massive Wood Ant nest deep in the woods was amazing! We could see hundreds of the ants milling around and had to keep clear as they were insistent about climbing up our legs! Hidden in the woods, the team can barely be seen! 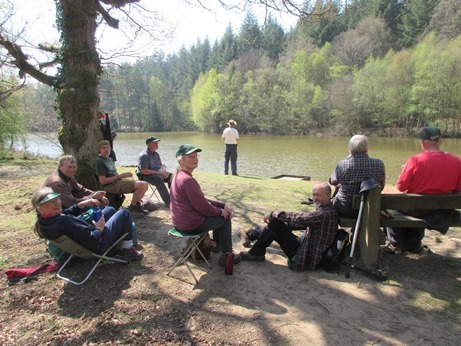 Relaxing by Speech House lake and watching the water fowl whilst listening to Willow Warblers in the trees! 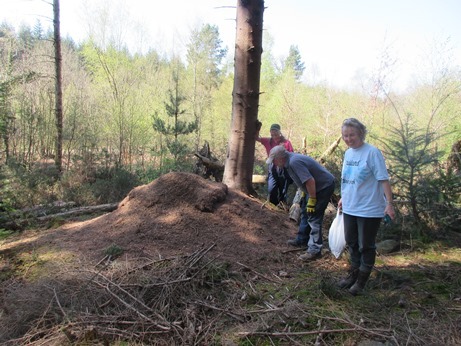 We found this massive Wood Ant nest not far from the lake. 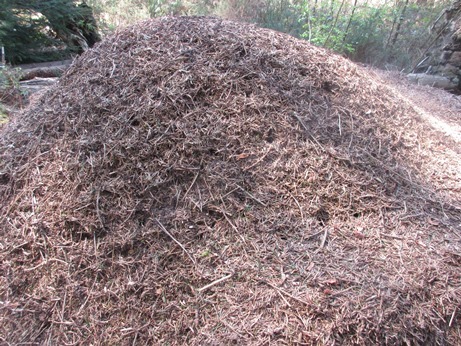 This Wood Ant nest is made from a mass of gathered pine needles, which are typically placed on top of old tree stumps. Nests can reach a few metres height. Larger ant workers can be found foraging up to 50 metres from their nest. Wood ants collect a natural resin found dripping from pine trees, individual ants will walk over the resin to disinfect themselves from bacteria and fungi. This characteristic is unique to wood ants. 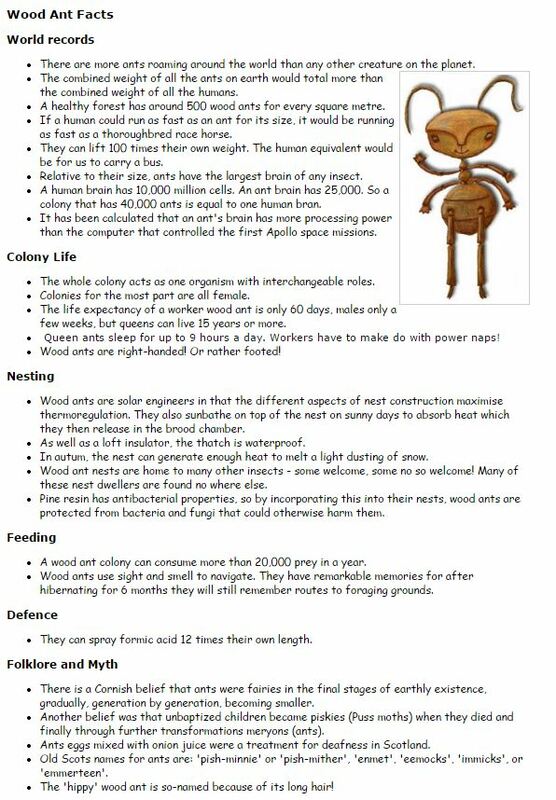 Over one year a single colony of wood ants may consume over 10 million insects. They are very efficient predators, and play a crucial role in protecting a forest's natural eco system.